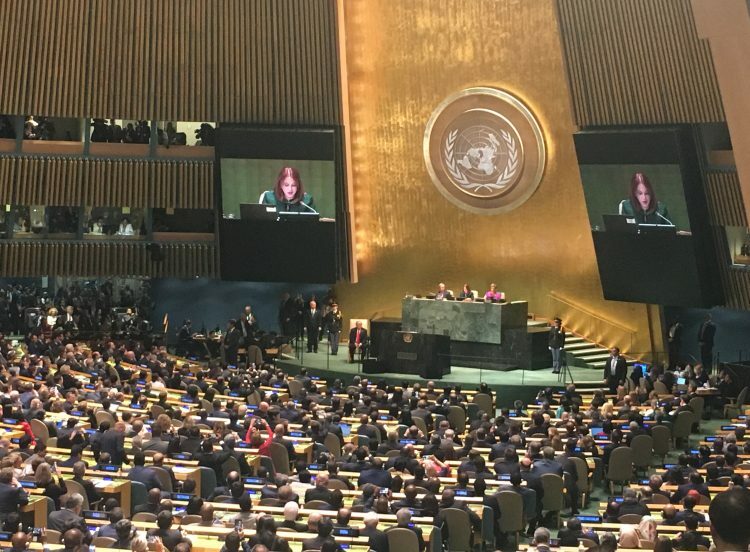 In December 2017, INBAR was made an Observer to the UN General Assembly, UNGA. 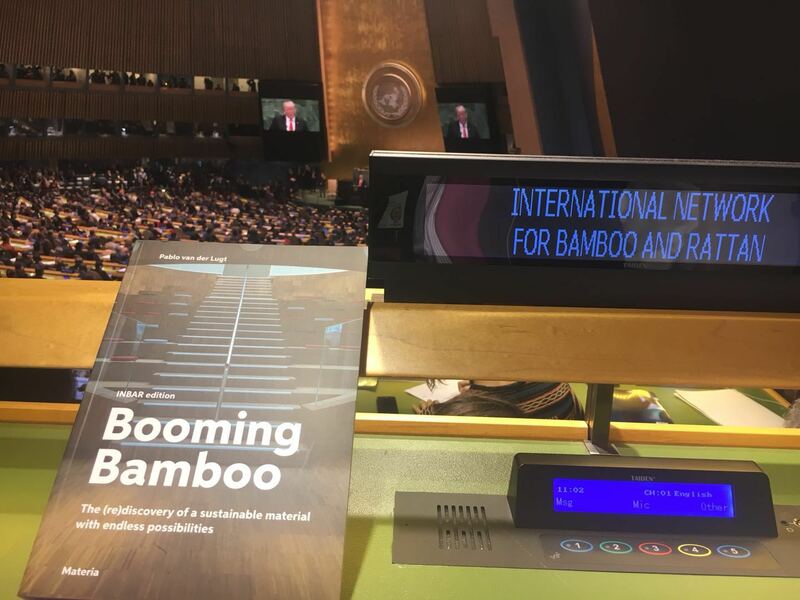 For the ongoing 73rd meeting of the UNGA, INBAR has created a statement and video message for consideration by all Members, about the value of bamboo and rattan in the UN’s work. 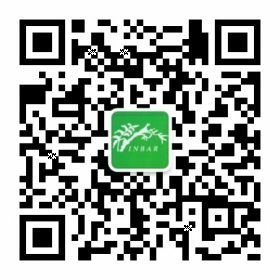 The International Bamboo and Rattan Organisation, or ‘INBAR’, was established in 1997 and represents 44 countries, or Members of INBAR. For many of these countries, the work of the UN is of critical importance. For the last 21 years, our mandate has been simple: to promote the use of bamboo and rattan for sustainable development. 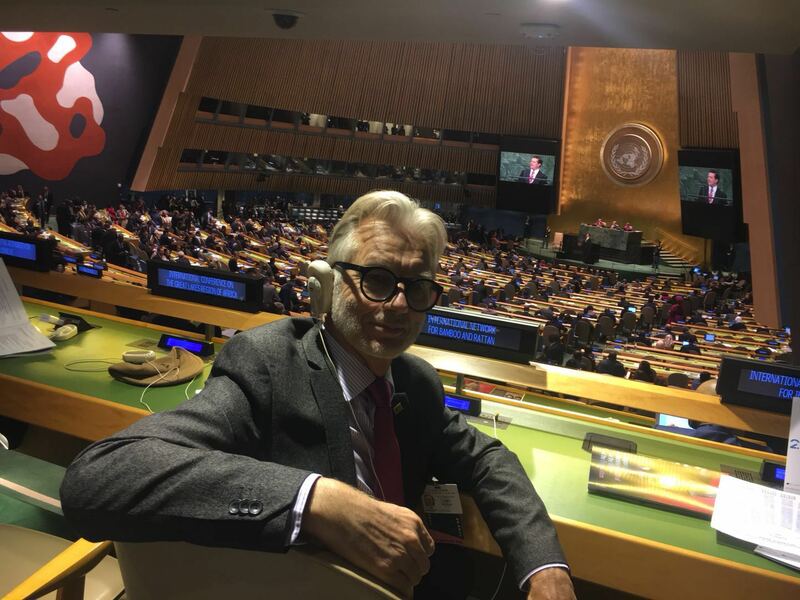 And in December 2017, INBAR became an Observer to the UN General Assembly: the first organisation focused on bamboo and rattan to do so. With this in mind, the International Bamboo and Rattan Organisation has several recommendations for the UNGA, to bear in mind during ongoing discussions. Bamboo and rattan are astounding resources, with unique potential to combat poverty and natural resource challenges. They grow locally to some of the world’s poorest communities in the tropics and subtropics – the sort of communities whom the Sustainable Development Goals aim to serve. Bamboo and rattan have many uses. They provide a vast range of sustainable products, livelihood options and ecosystem services. 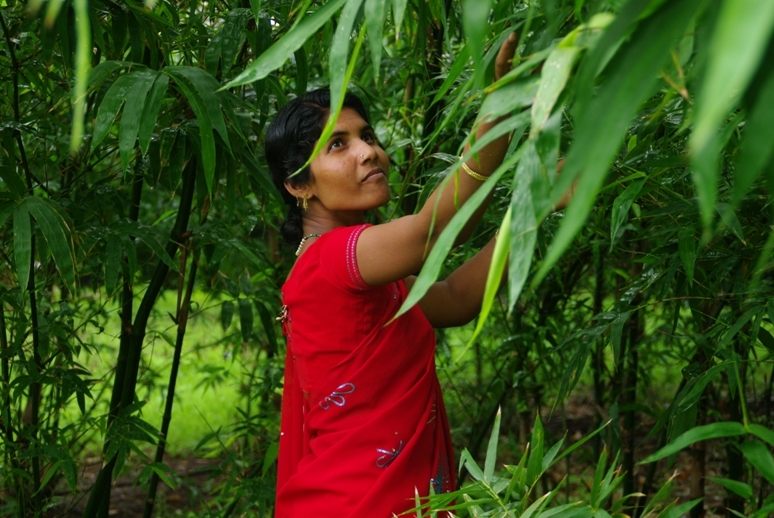 In my time as Director General of INBAR, I have spoken to many people who have benefited from bamboo and rattan: farmers, whose crops are flourishing alongside bamboo; women, who are earning their first income from selling rattan products; communities, who have more resilient in the face of natural disasters through using bamboo housing. I have seen impressive bamboo infrastructure, including wind turbine blades, drainage pipes and the sides of train carriages. 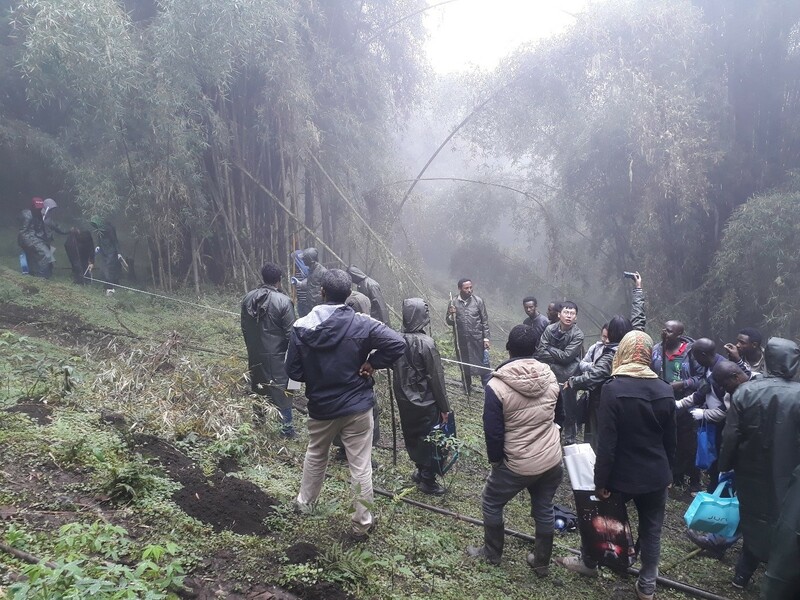 I also learned how bamboo can store more carbon than certain kinds of tree – making it an important natural tool for climate change mitigation. If we can harness the potential of bamboo and rattan, the world will be closer to achieving its ambitious development, climate and environmental objectives, including the Sustainable Development Goals, the Paris Agreement commitments, and the Aichi Biodiversity Targets. It is an honour for INBAR to join the UN General Assembly for its 73rd Session. I hope that in the discussions that will take place, in this and future meetings, we can consider the role of nature-based solutions for sustainable development. After all, the definition of sustainability is to grow and thrive using the resources that we already have – including bamboo and rattan.